Canning is always something I’ve wanted to learn how to do. I love the way the little jars look when they’re lined up in the pantry and being able to have delicious fruits and veggies all year long. Luckily, a good friend of mine knows how to can and is an incredible teacher (now only if she had a student that could follow instructions lol). Every time I have ever tried to cook something, I mess up at least one step or measurement, completely not on purpose! Well, this time of course was no different, I didn’t buy enough raspberries, but thankfully my friend had a couple extra packages on hand, what a lifesaver! 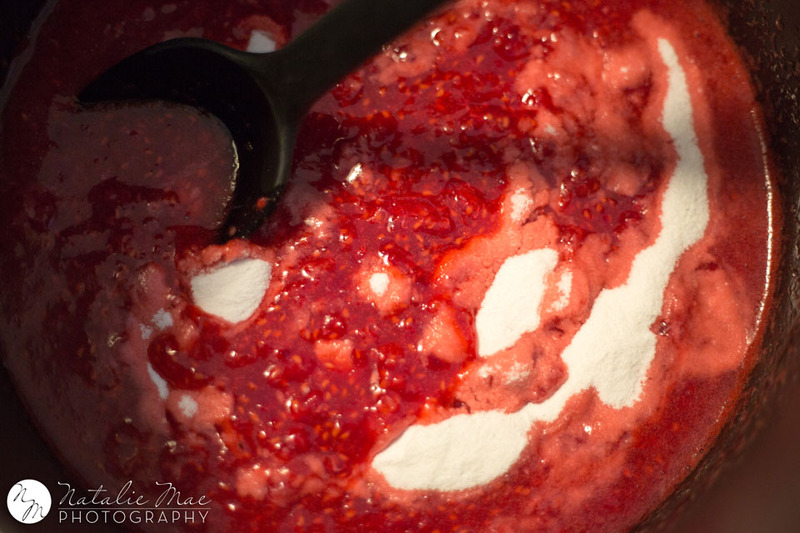 So with all right in the canning world again, we were able to make some super delicious raspberry jam. The whole process was so much easier than I would have ever imagined it to be. Now I just want to can everything! 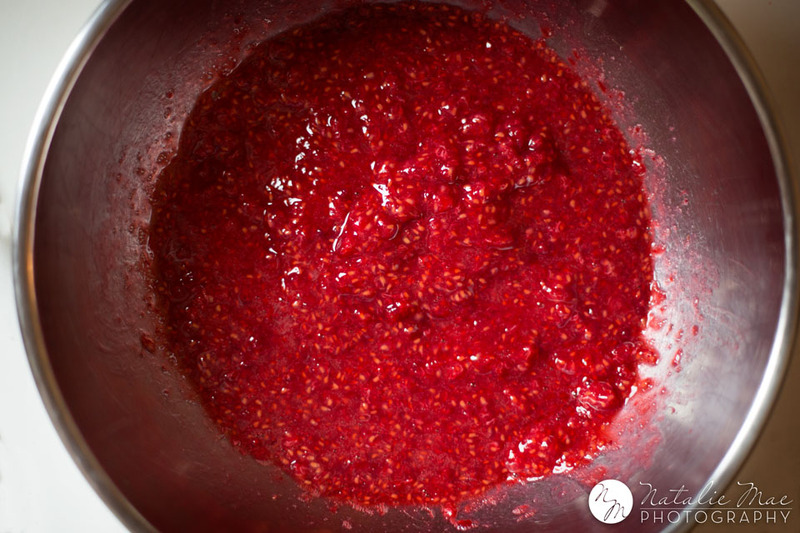 I think my next two canning projects are going to be strawberry jam and apple butter. Those two are my favorite! I have seen a book called Food in Jars by Marisa McClellan which I will be picking up soon because those recipes in there sound delectable, plus they’re all done in small batches. She recently released another book called Preserving by the Pint which I may buy as well. All together, the batch we made yielded 9 half pint jars of jam. 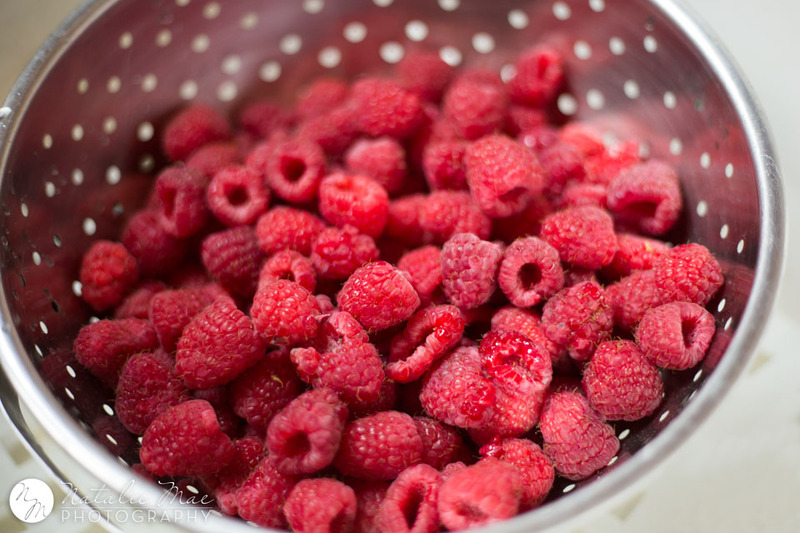 The process was fairly simple as well, you start by mashing up all the raspberries. You can strain out the seeds if you’d like with some cheesecloth, but because I didn’t buy enough we left a decent amount in which is fine because it still tastes delicious! Put that in a pot and bring to a rolling boil, then add the sugar while stirring continuously for 1 minute. 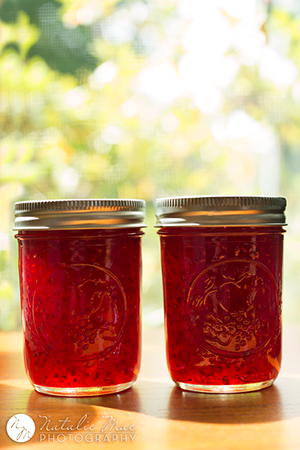 Take off the heat and put the jam into the jars. 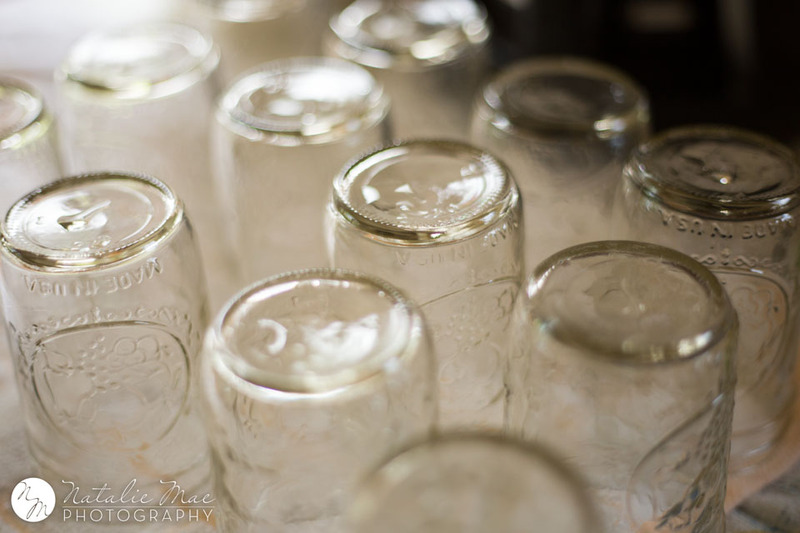 The jar prep is an easy process as well which involves boiling the jars, rings, and seals to make sure they’re sterilized and hot enough to seal. It’s that simple, I can’t wait to can some more!